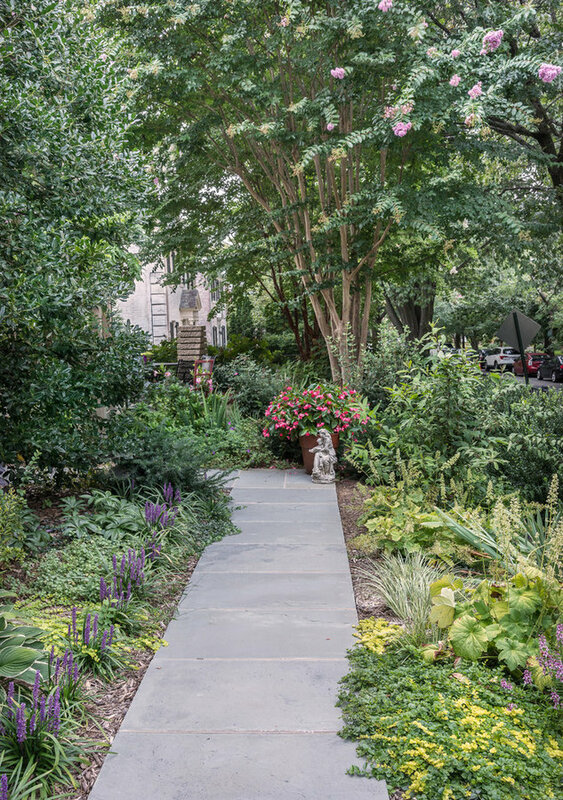 GreenHeart Garden Designs was invited to assist the homeowners in re-making their garden after additions to the house were made by Gilday Renovations. The lady of the house is an avid gardener who loves flowers, including much-loved heirloom plants. 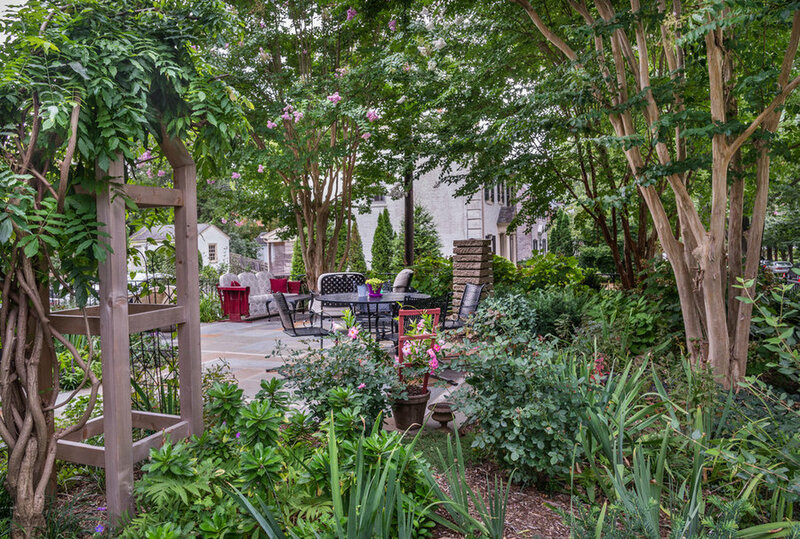 The family loves to be outside and desired a large area in which to enjoy outdoor living. 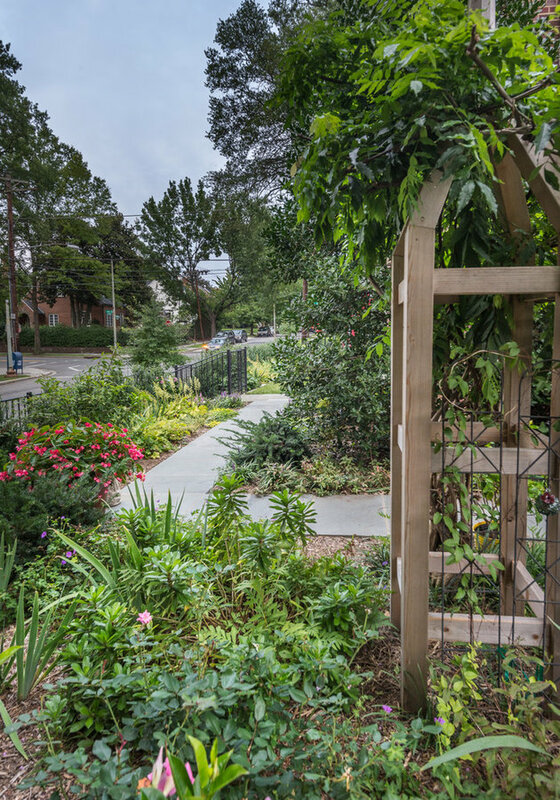 Because they love birds and other pollinators, they wanted a water feature to attract them. 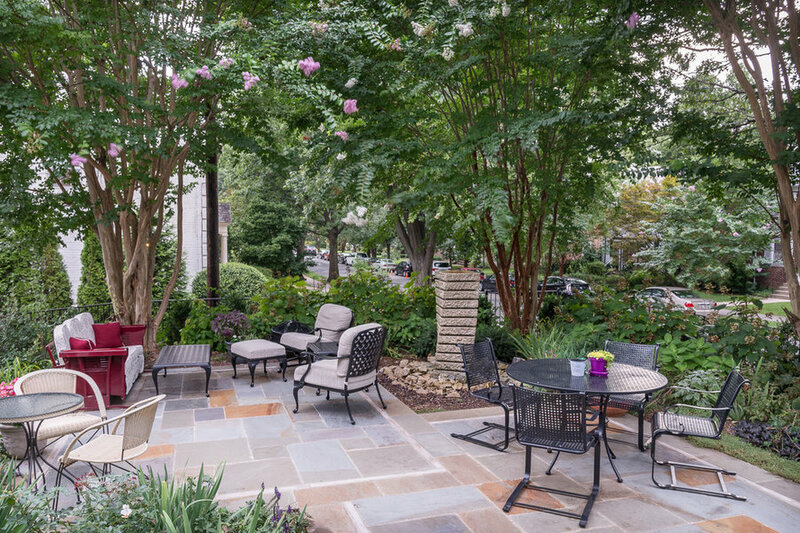 The flagstone patio's limestone bands delineate 'dining' and 'living' room areas, and fossil-encrusted limestone chunks left over from an interior fireplace's veneer were used at the base of the tall, twisted Stone Forest water feature. 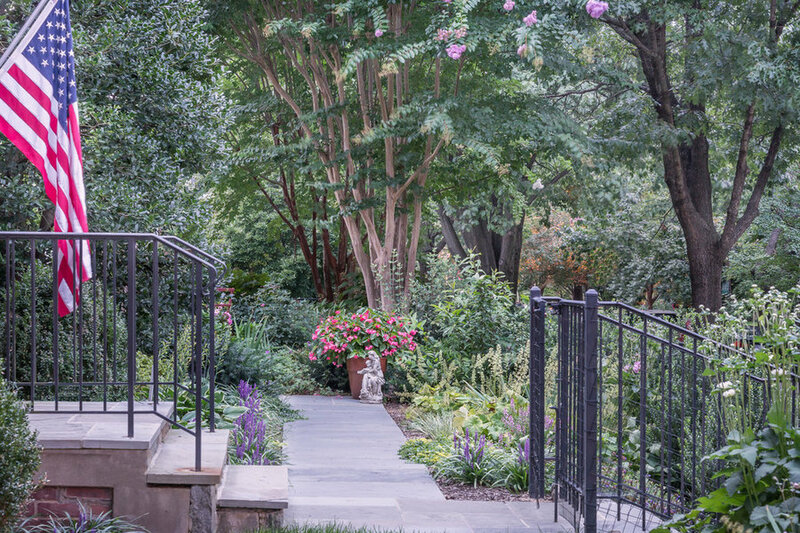 The cinnamon-colored bark of mature Crepe Myrtles echoes the full-color tones of the flagstone and the exfoliating bark of new Oakleaf Hyrdrangeas. A hedge of Steed's Hollies inside the existing iron fence, barely seen beyond the Oakleaf Hydrangeas, improves the sense of enclosure around the property's perimeter. A tuteur was custom-built on which to train an existing fragrant Wisteria: additional evergreen Vines and weeping Winter Jasmine provide cheerful yellow tones at different times of the year.